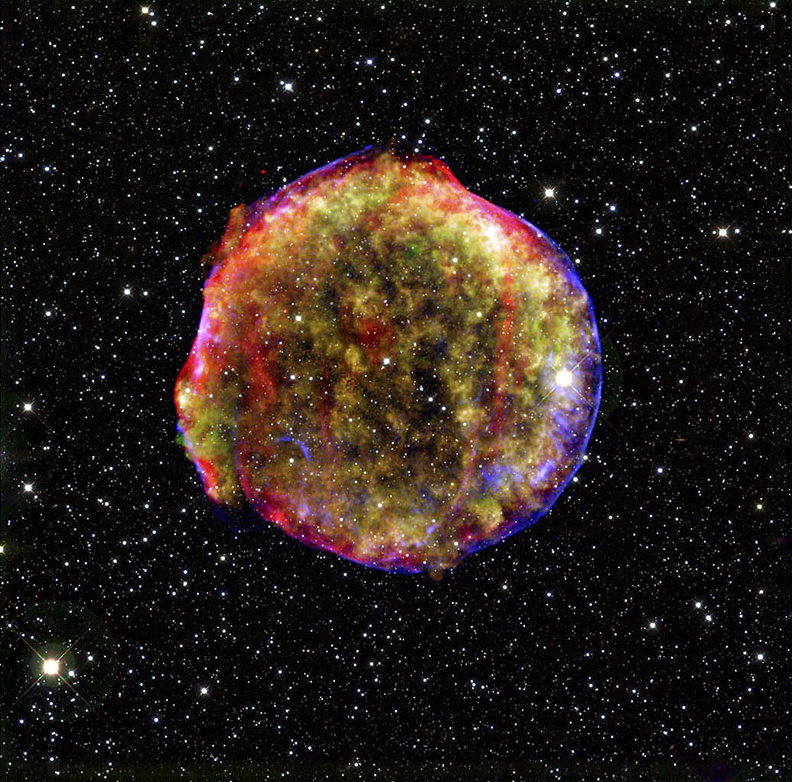 This composite image of the Tycho supernova remnant combines X-ray and infrared observations obtained with NASA's Chandra X-ray Observatory and Spitzer Space Telescope, respectively, and the Calar Alto observatory, Spain. It shows the scene more than four centuries after the brilliant star explosion witnessed by Tycho Brahe and other astronomers of that era. 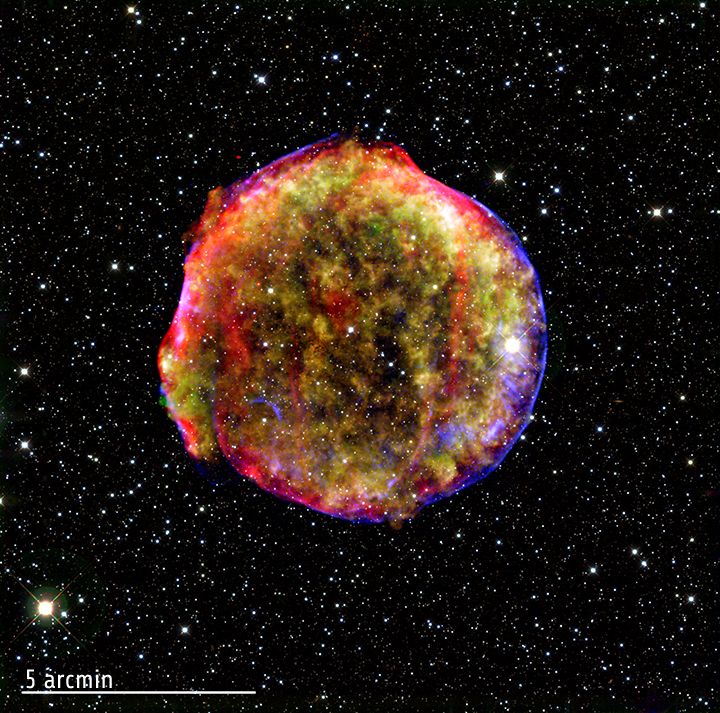 The explosion has left a blazing hot cloud of expanding debris (green and yellow) visible in X-rays. The location of ultra-energetic electrons in the blast's outer shock wave can also be seen in X-rays (the circular blue line). Newly synthesized dust in the ejected material and heated pre-existing dust from the area around the supernova radiate at infrared wavelengths of 24 microns (red). Foreground and background stars in the image are white. Oliver Krause, from the Max Planck Institute for Astronomy in Germany, recently studied reflected light from the supernova explosion seen by Brahe. Use of these "light echoes" - not shown in this figure - has confirmed previous suspicions that the explosion was a Type Ia supernova. This type of supernova is generally believed to be caused by the explosion of a white dwarf star in a binary star system. Credit X-ray: NASA/CXC/SAO, Infrared: NASA/JPL-Caltech; Optical: MPIA, Calar Alto, O.Krause et al. Scale Image is 15.5 arcmin across.